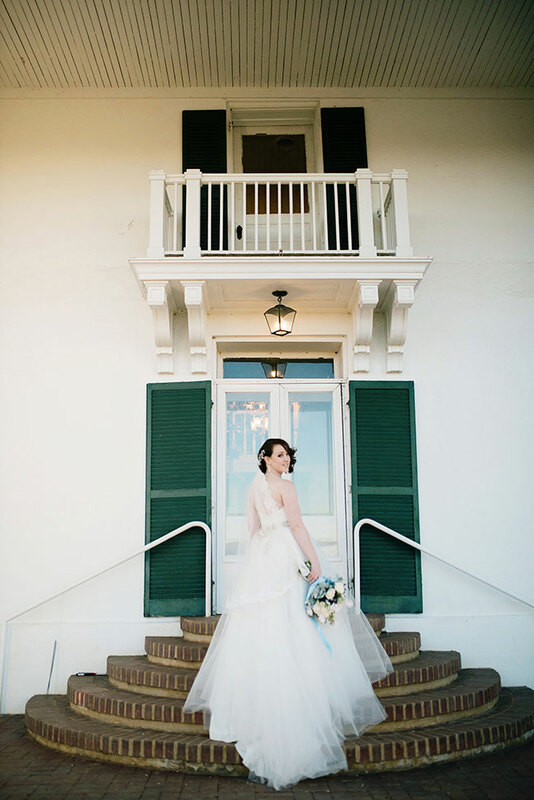 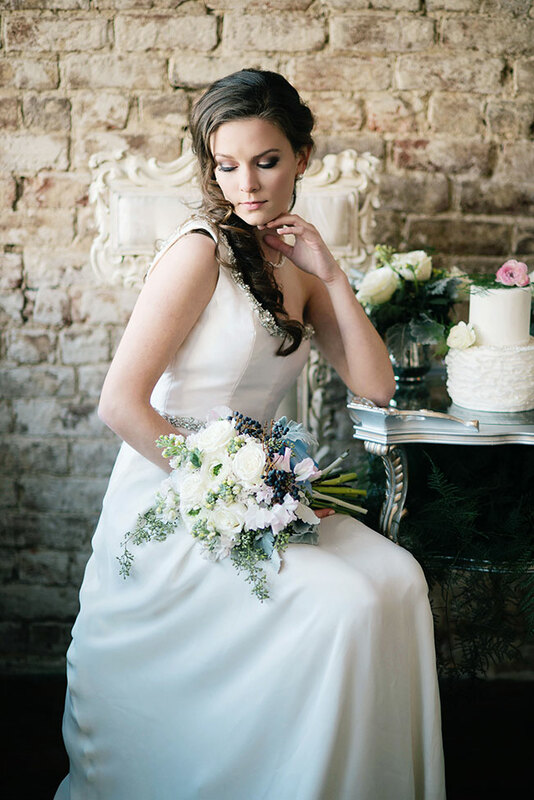 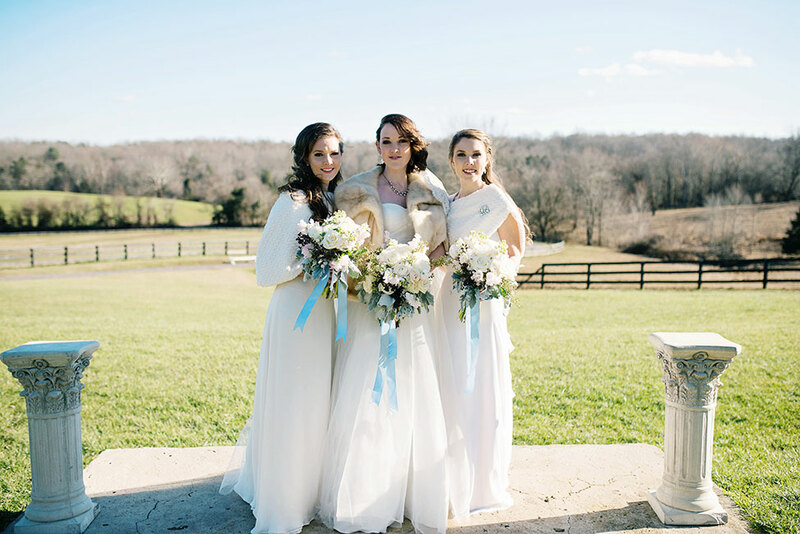 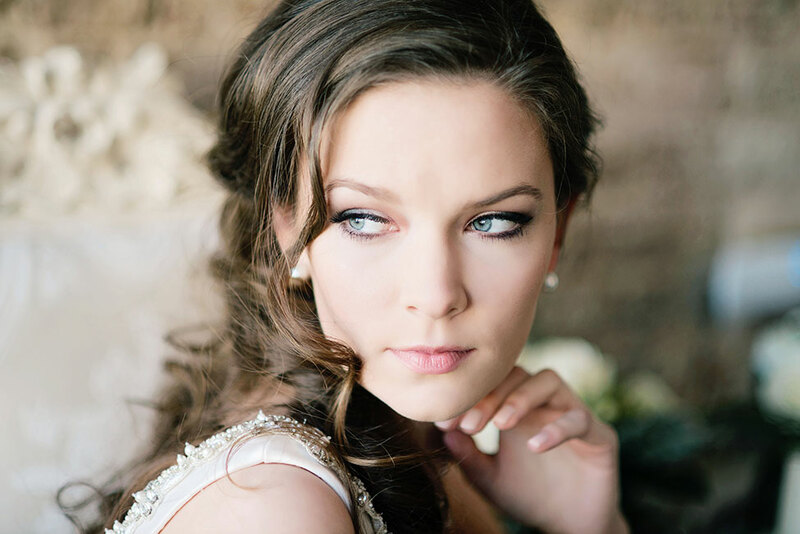 A late winter wedding with a classic touch set in Virginia seems like a page straight out of a movie script. 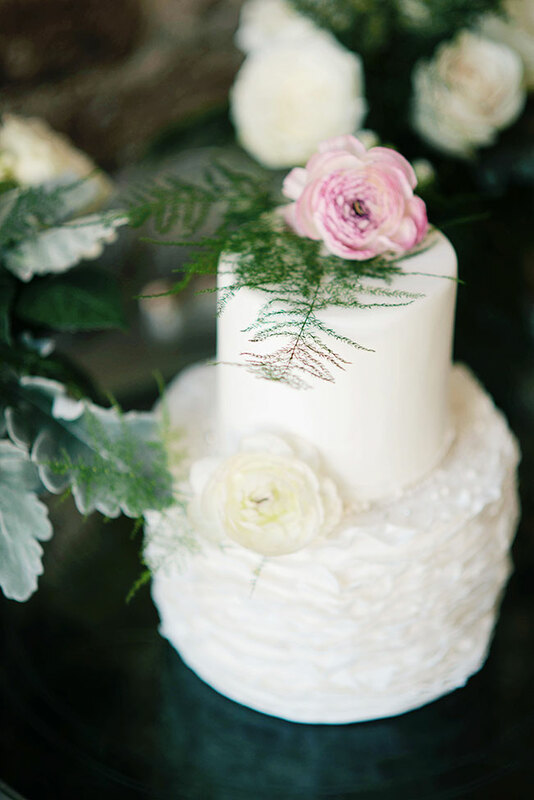 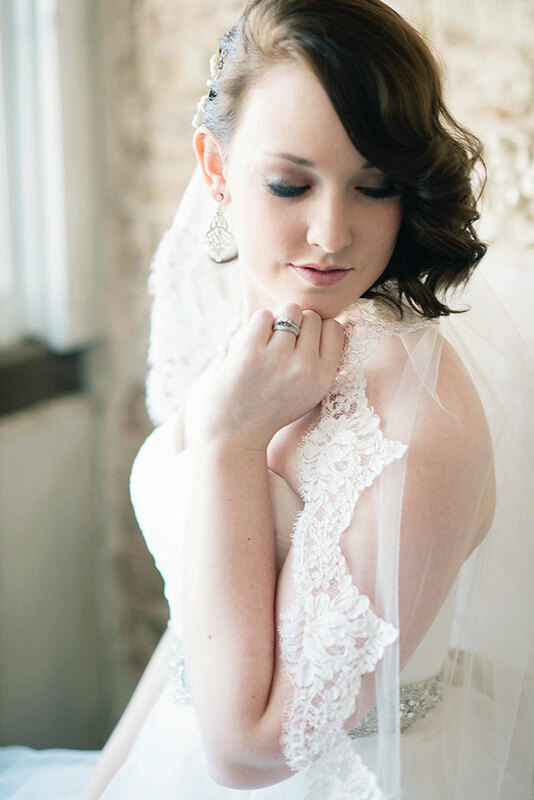 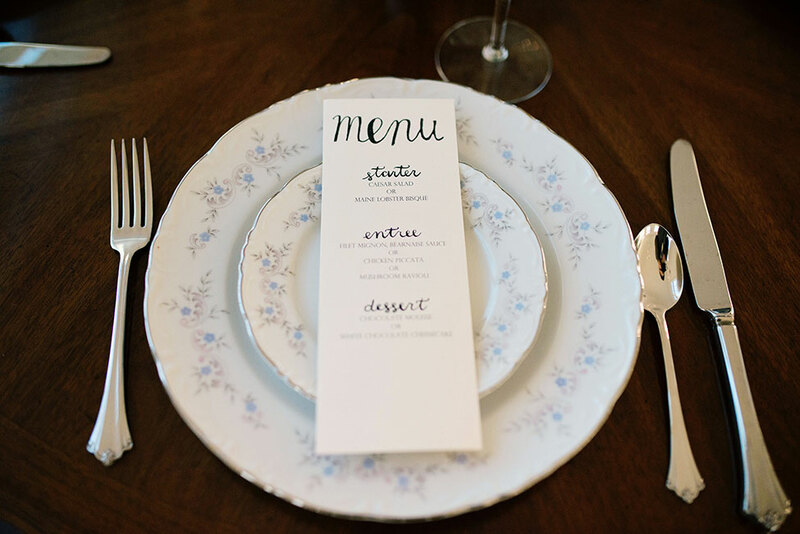 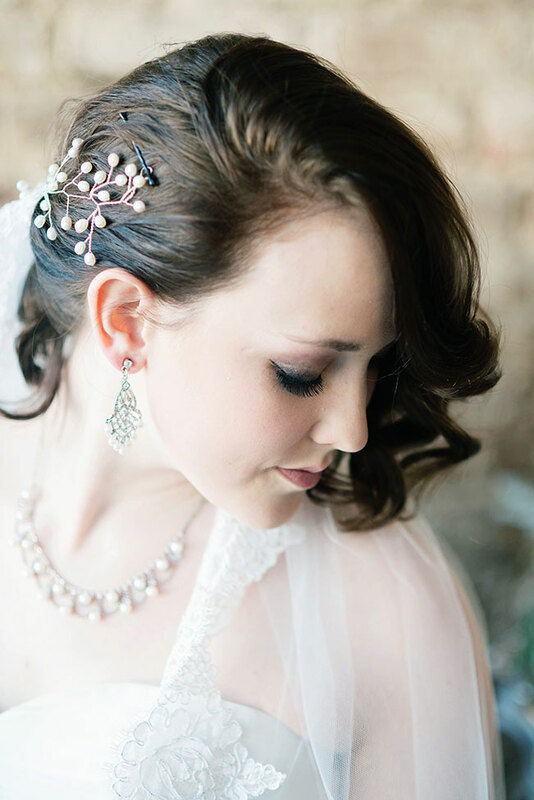 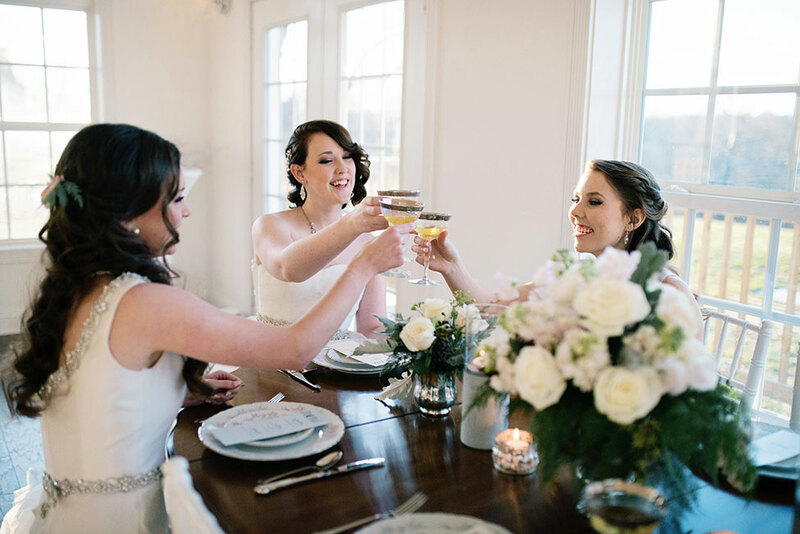 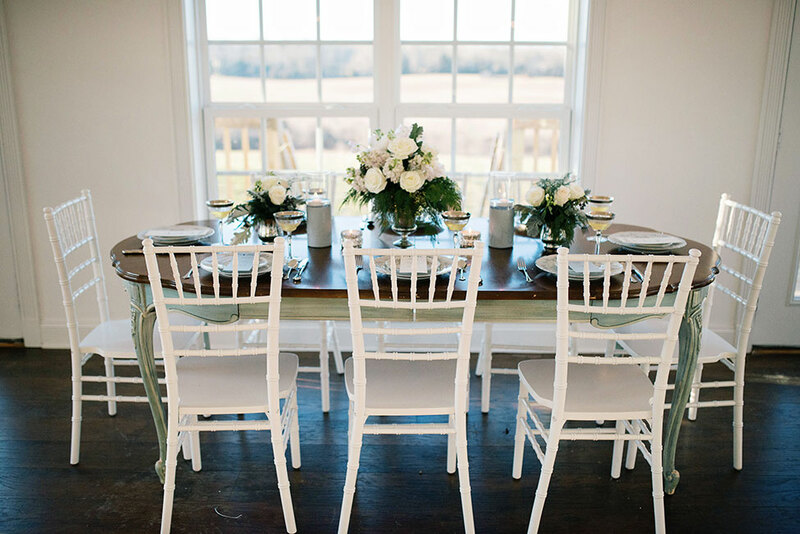 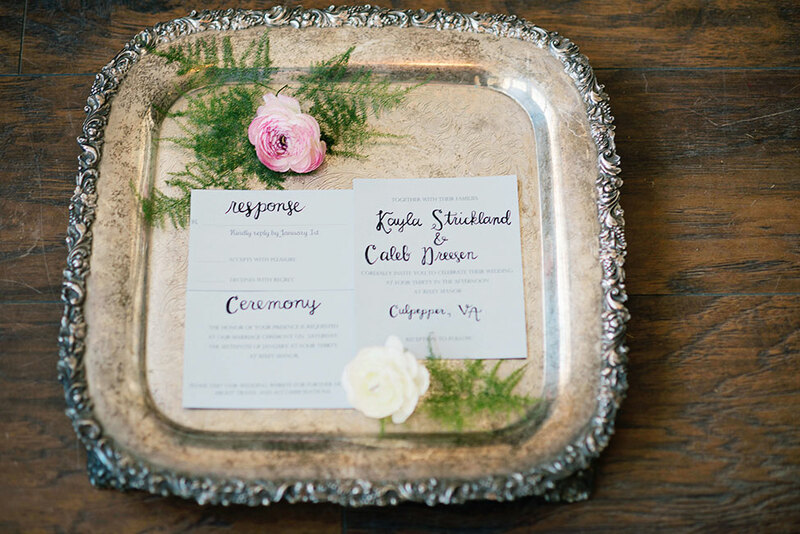 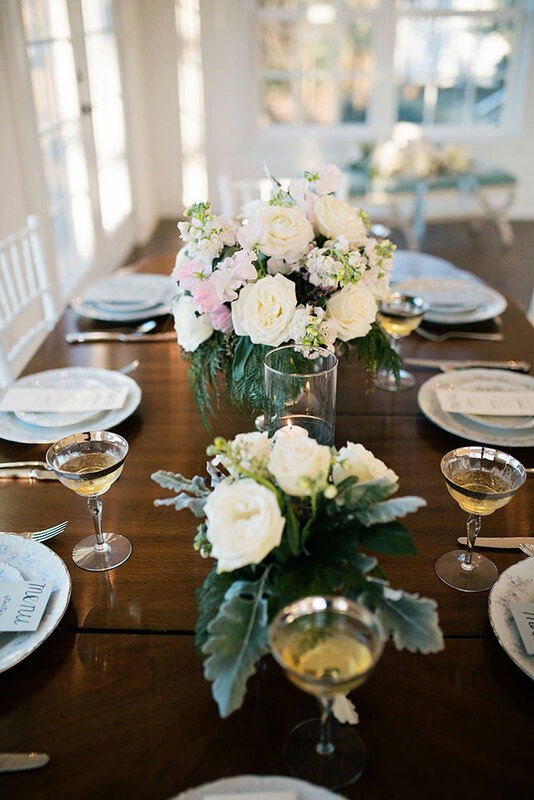 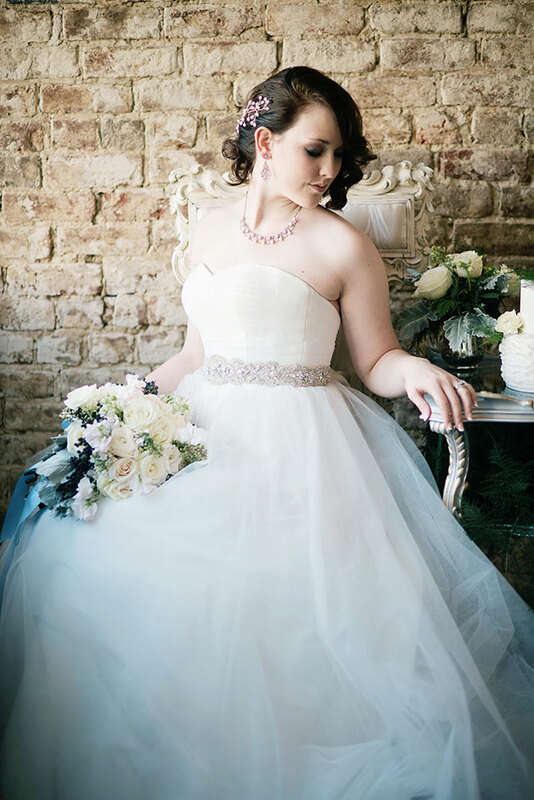 Hoping to inject a fresh take on a stately Virginia wedding, a talented crew of wedding pros got together to create! 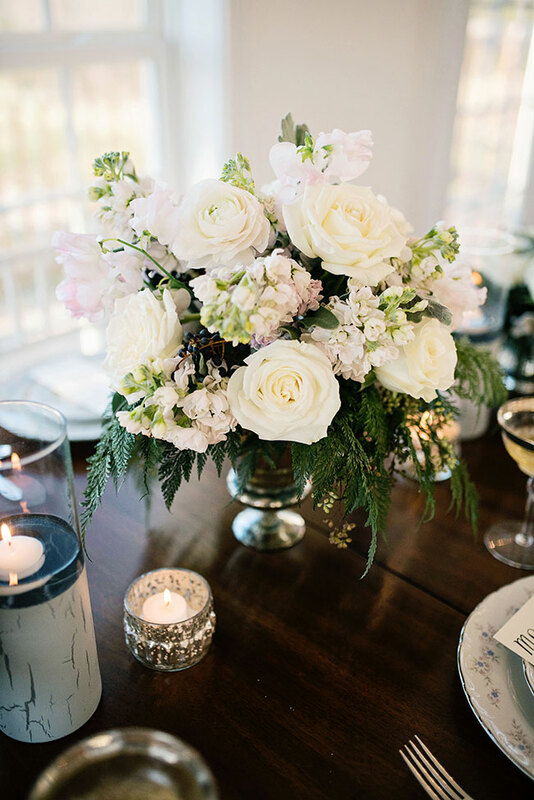 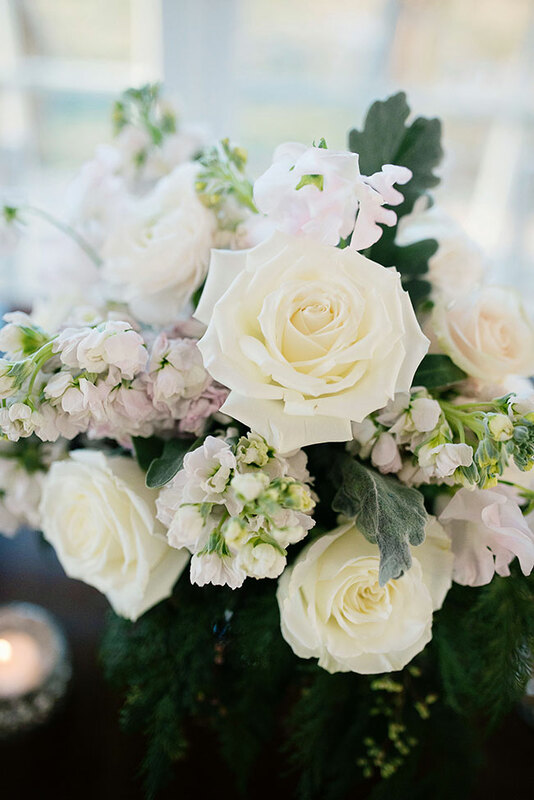 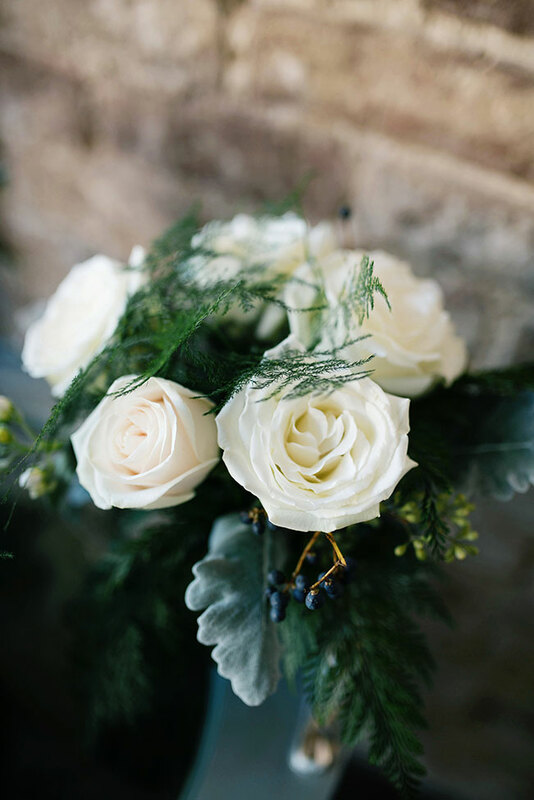 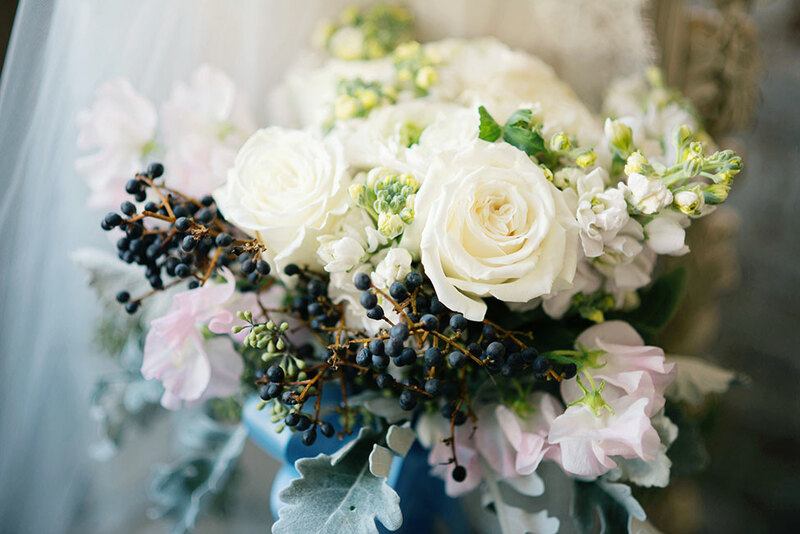 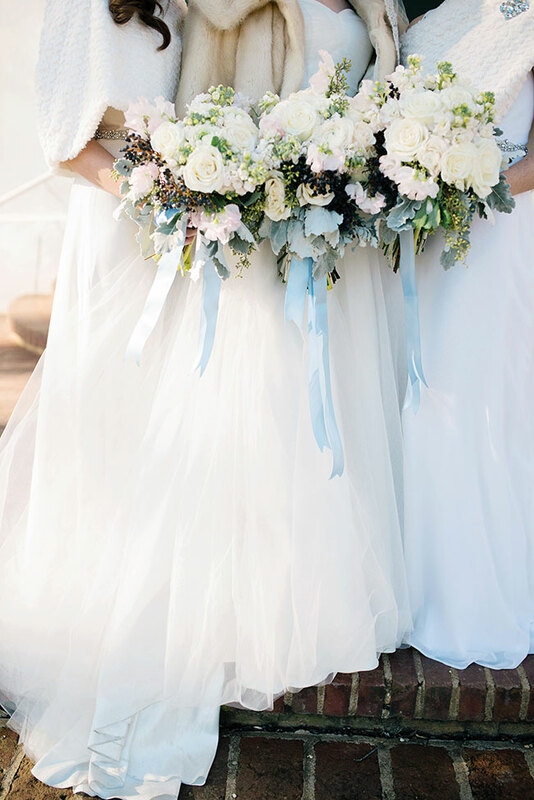 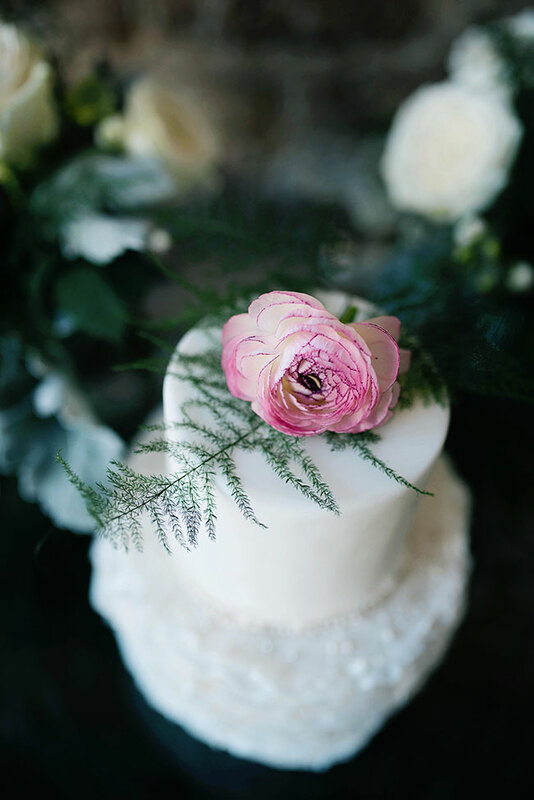 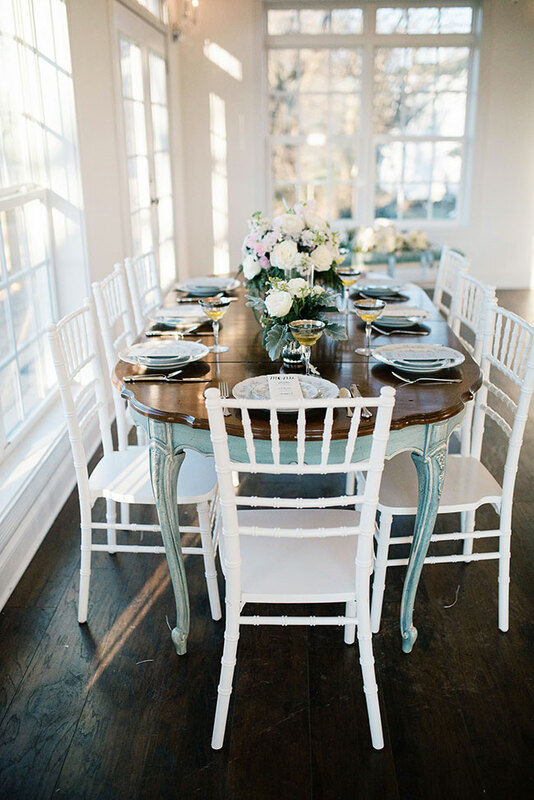 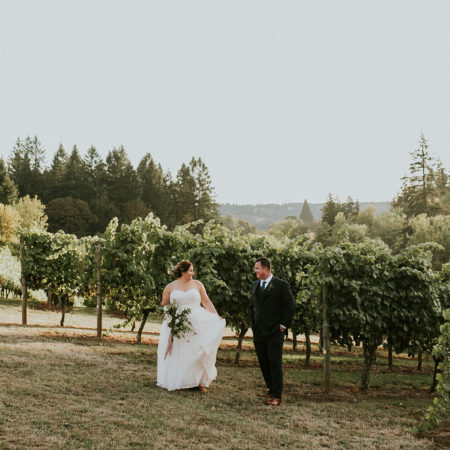 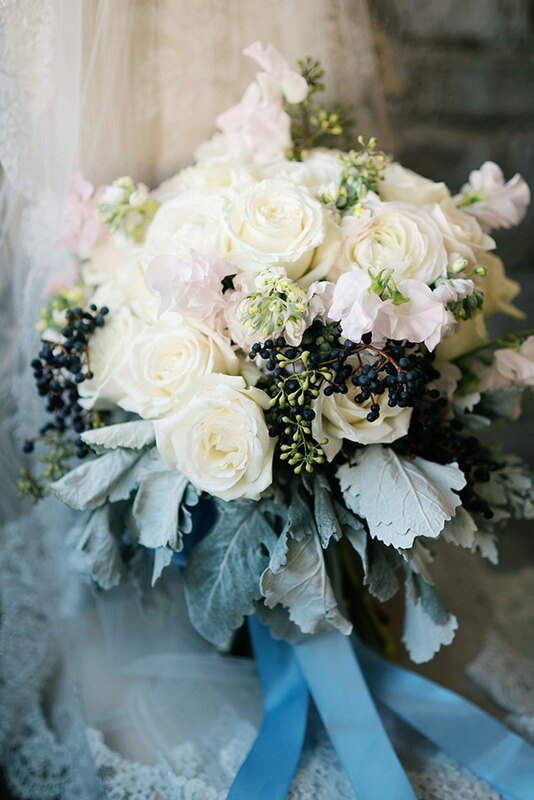 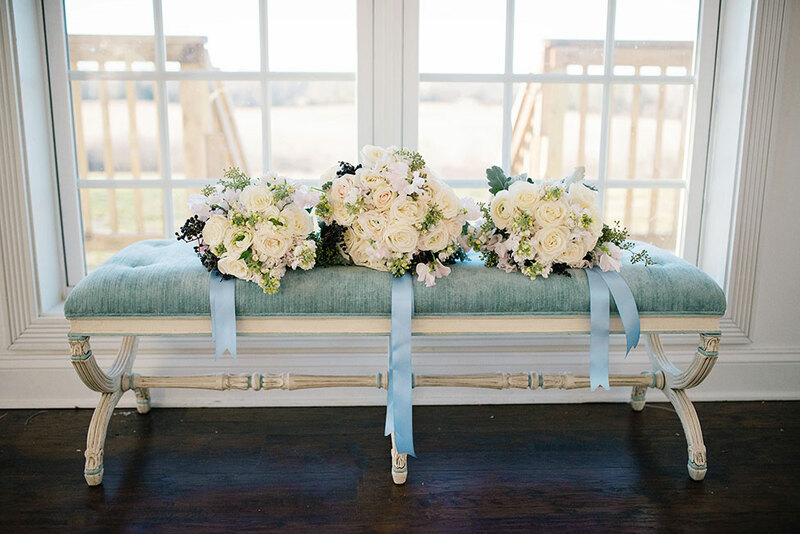 Lead by Kayla Dreesen, refined wedding bouquets and petite arrangements were put together by Eight Tree Street while gorgeous rental pieces from Bella Villa Rentals supplied a hint of Victorian charm. 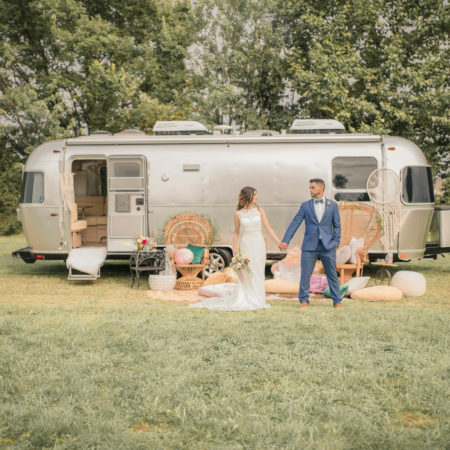 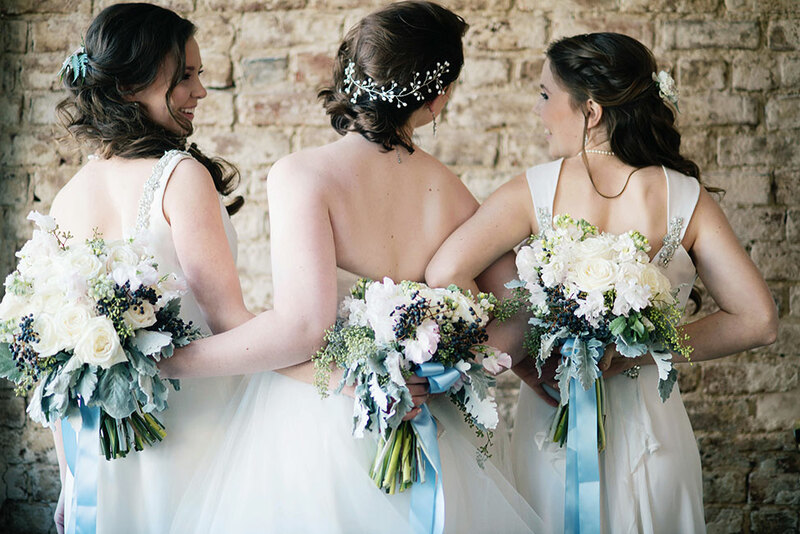 Northern VA & Washington D.C. area photographer Ali McLaughlin Photography was the last piece to the puzzle, capturing each sweet moment. 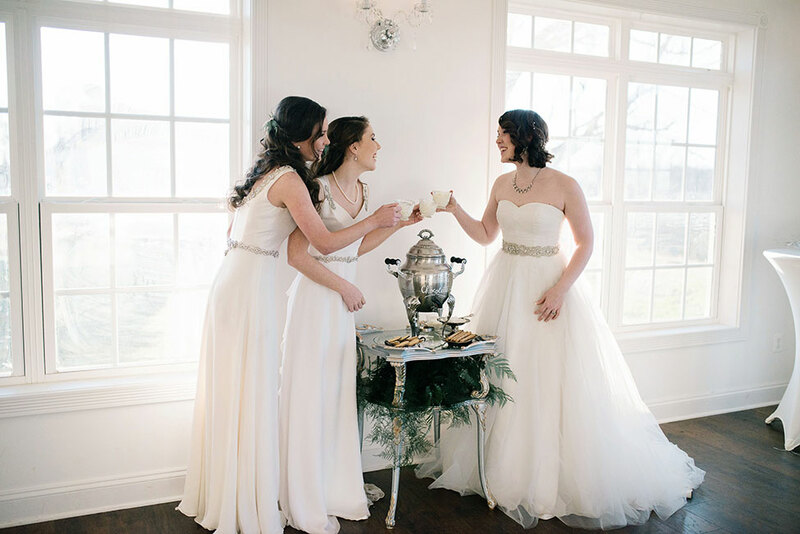 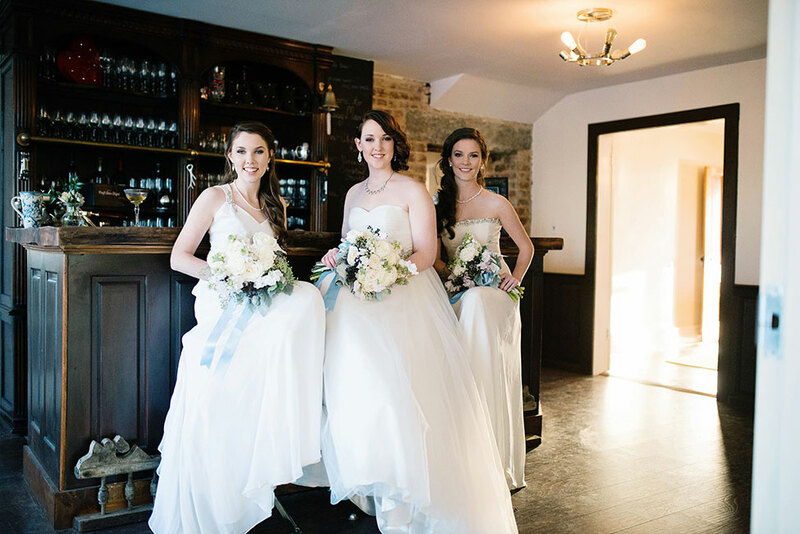 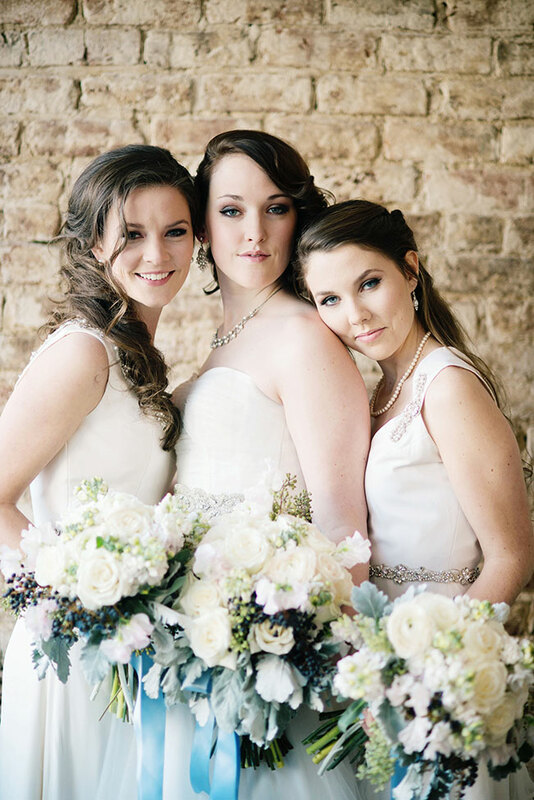 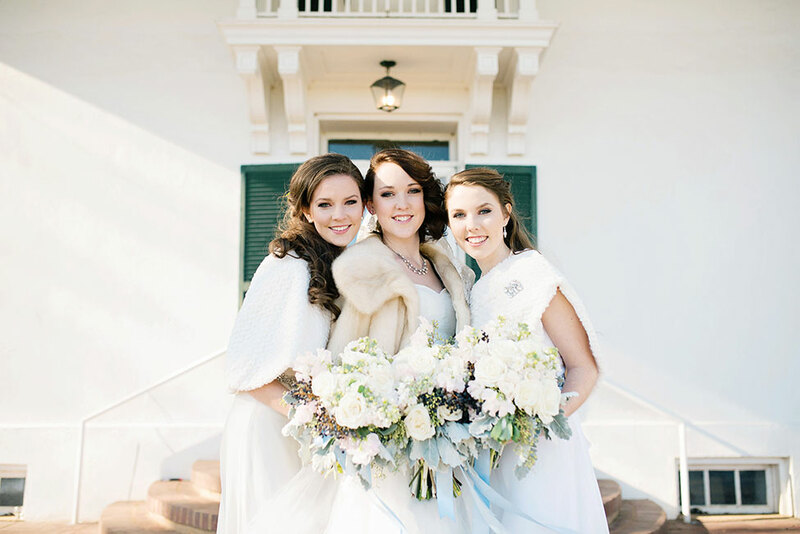 The focus of this styled winter wedding is centered around a bride and her two bridesmaids, in elegant romantic winter wedding bridal looks. 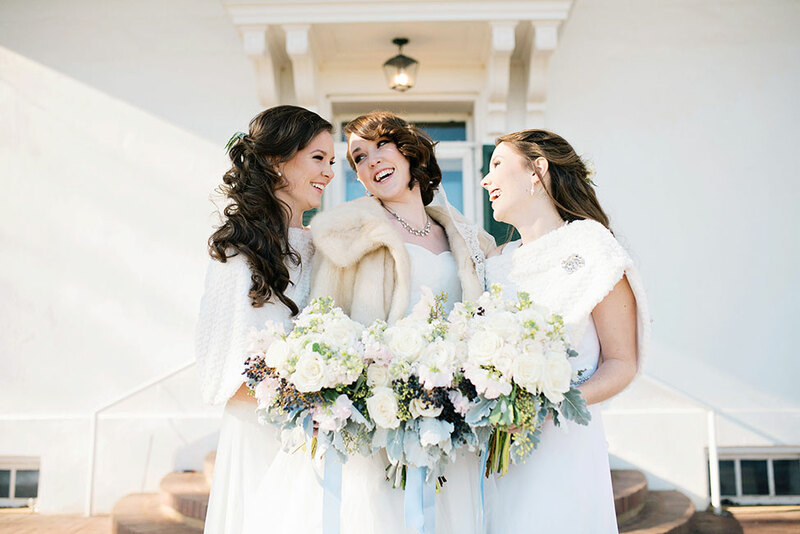 Hair is kept loose and flowing, keeping shoulders warm against the freezing temps at Rixey Manor, while wraps and stoles do the heavy lifting. 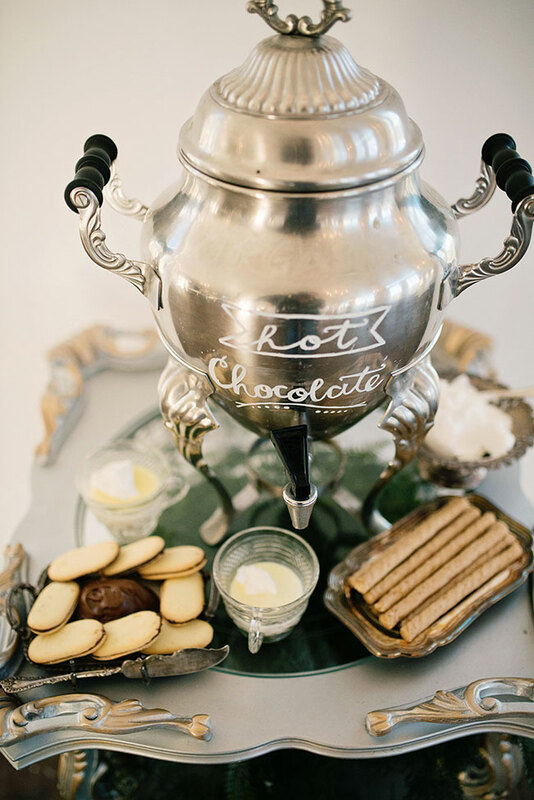 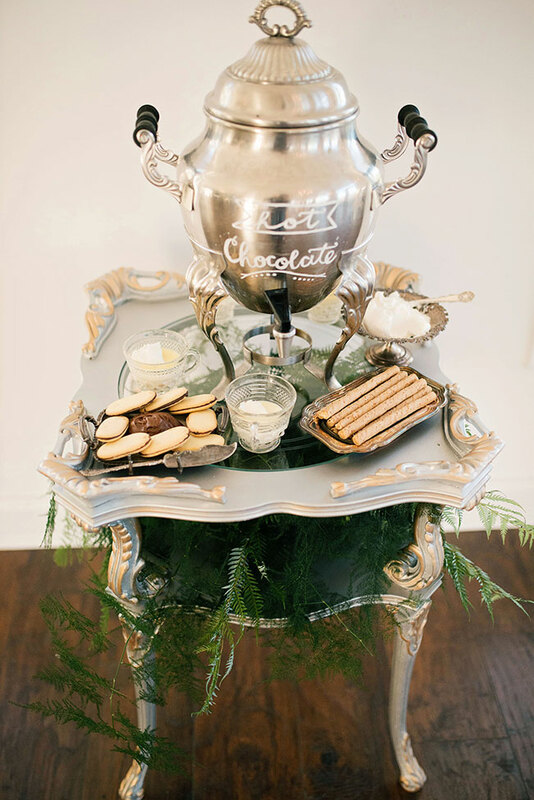 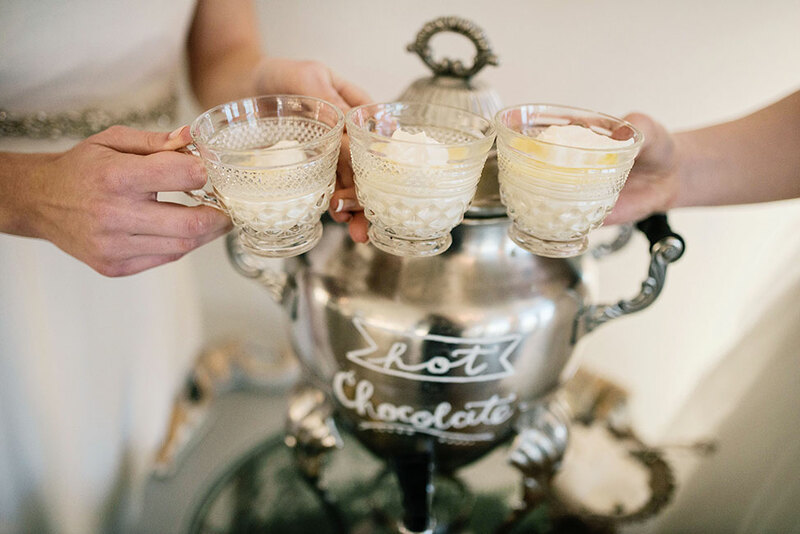 Inside is a sweet little dinner setup with vintage decor accents as well as a super cute hot chocolate bar for the girls to sip on. 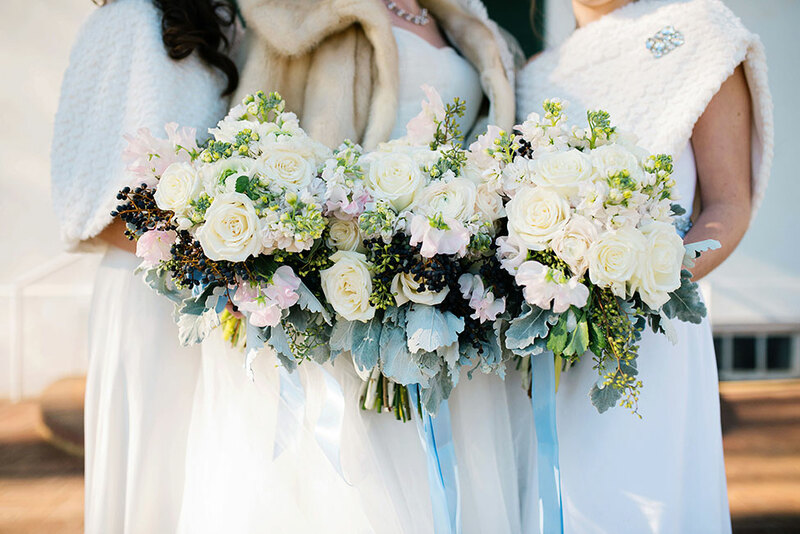 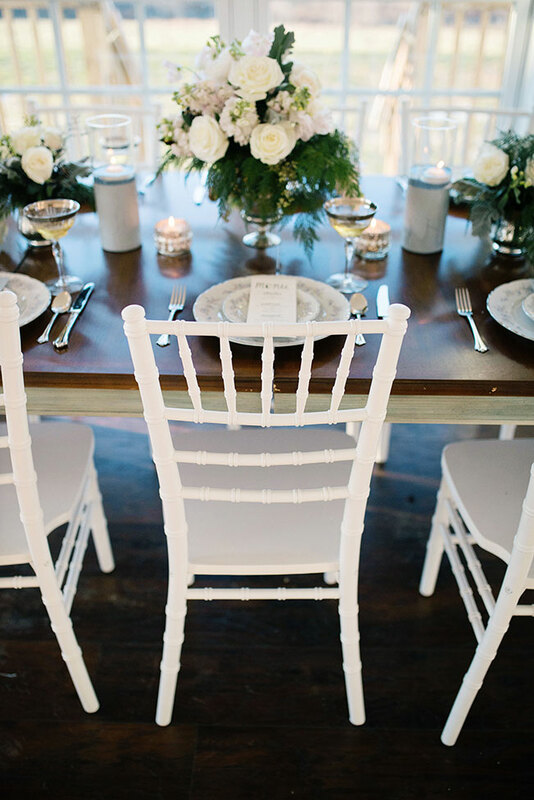 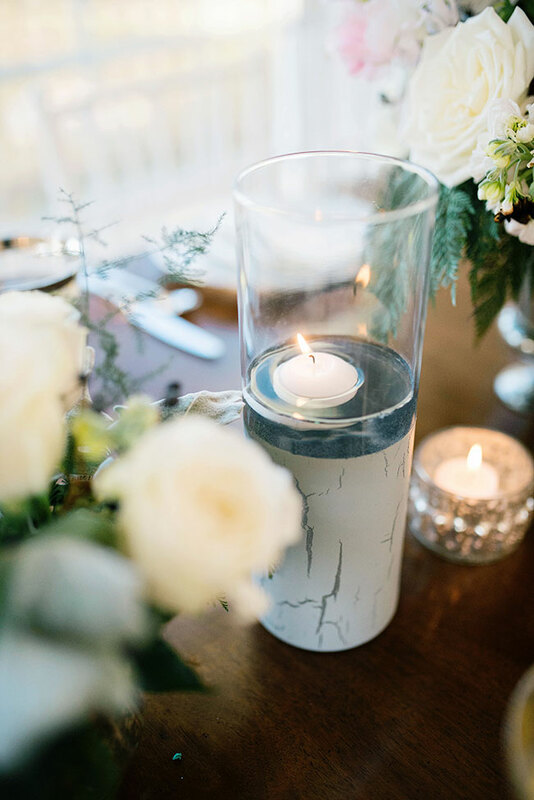 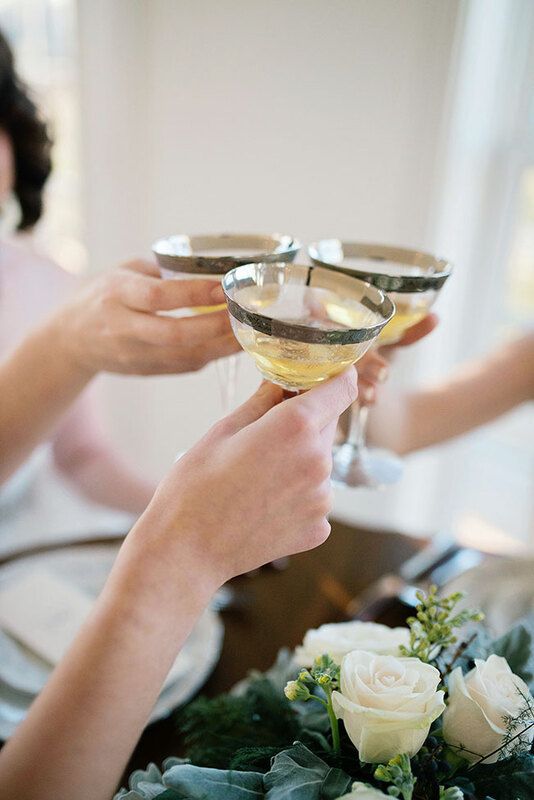 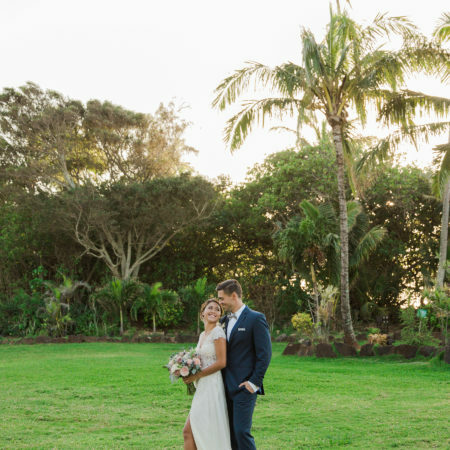 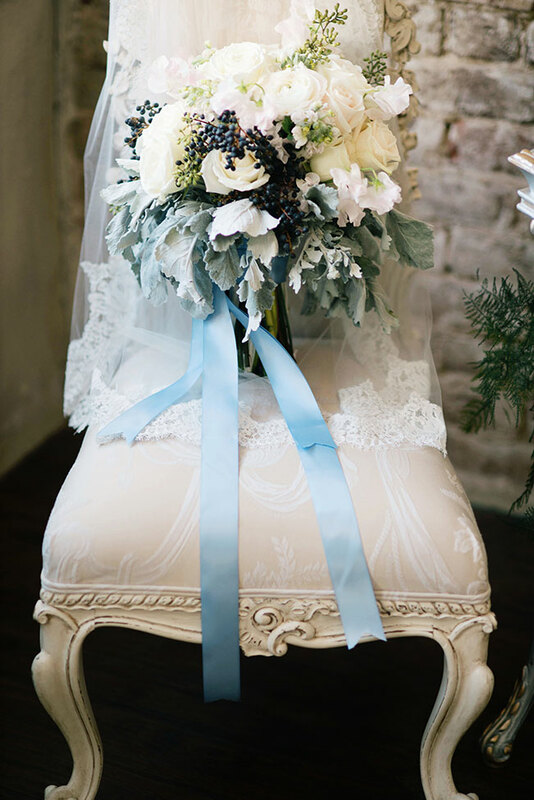 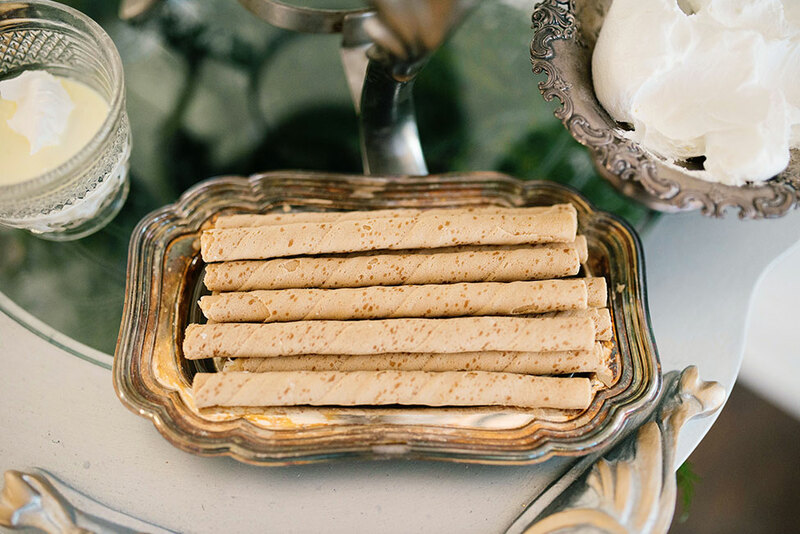 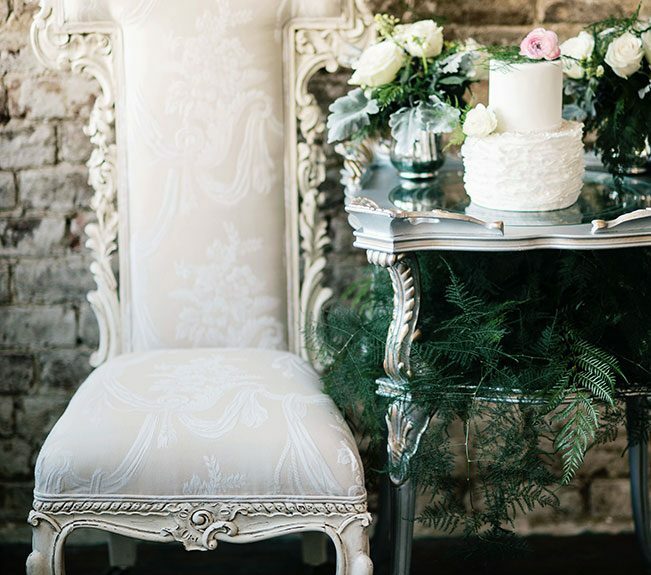 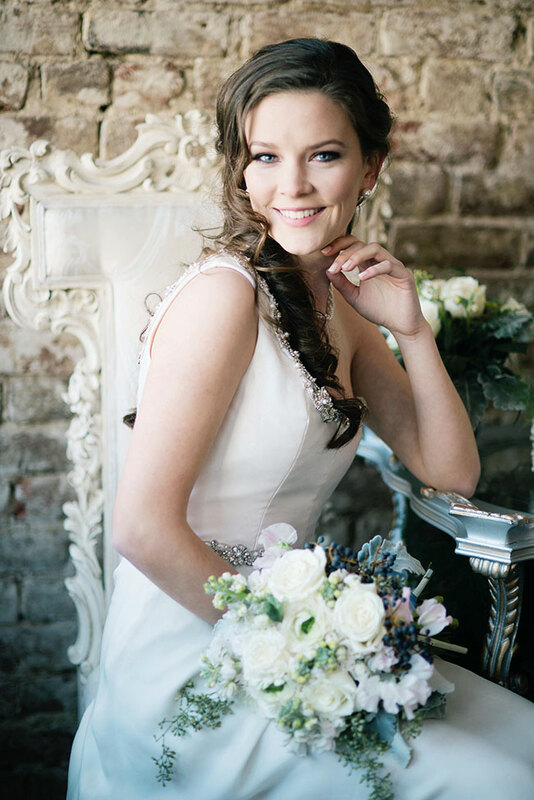 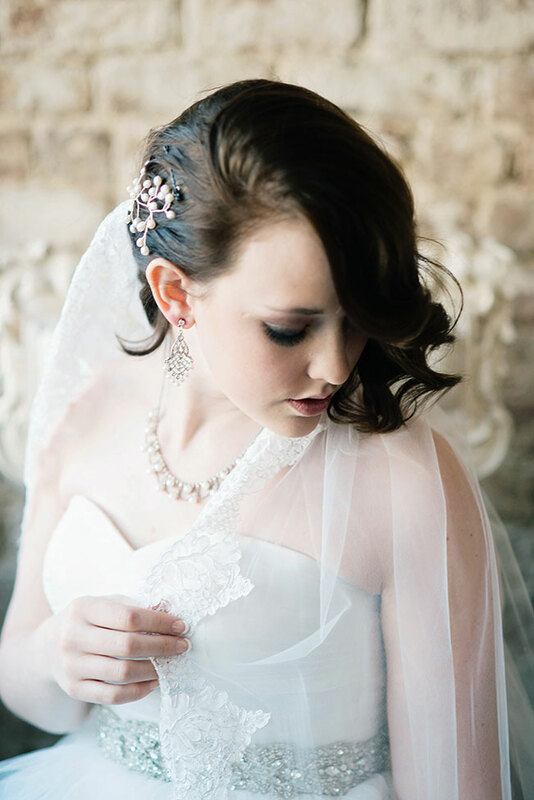 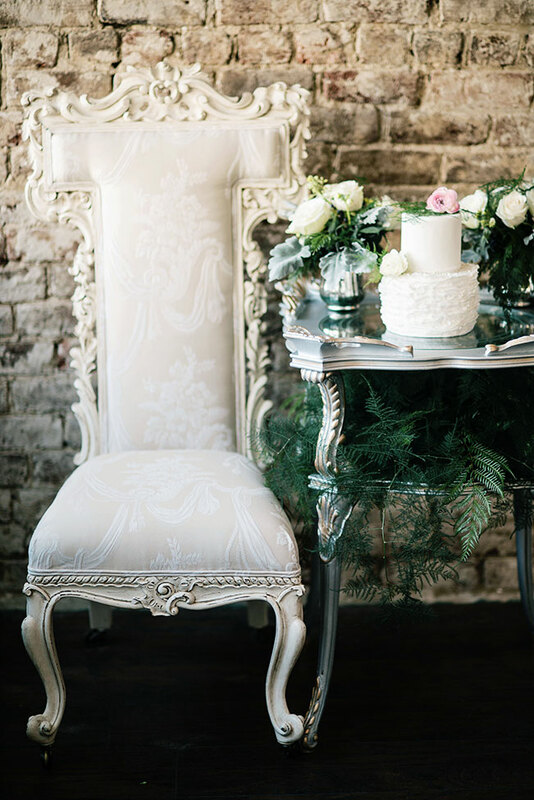 All in all, a styled winter wedding that is easy to crush on!